Lovely home, walking distance to center of town and restaurants. There were 5 of us and we all felt at home and comfortable. Would highly recommend!!! The layout of the apartment was great, had a small outdoor area and the bedrooms were nice and warm. 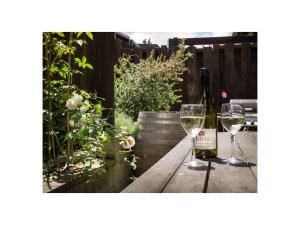 Large beds, free wifi, and full functional kitchen made it a great place to stay at in cold Queenstown. This is perfect for a long weekend stay- or more! Property was spacious liked to split level. Clean, tidy and quiet. 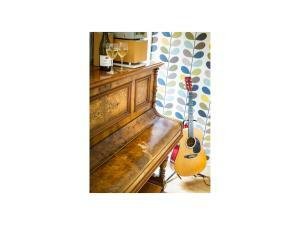 Based on our original booking we were very happy with apartment and service. Apartment was very comfortable and had everything we needed in it, having games in the cupboard was a great bonus, very central to everything. 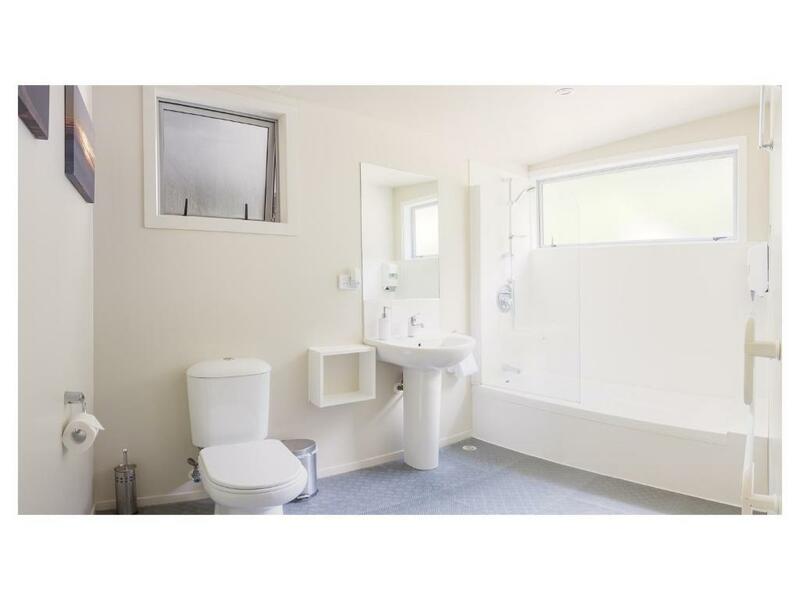 The property is as described on the website, with accurate photos. 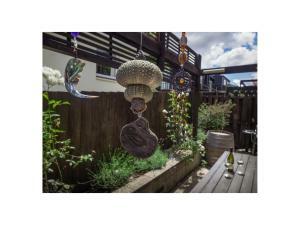 Located a short walk from the centre of Queenstown, great for access to the supermarket and a very nice deli, and convenient for Coronet Peak. We were a family with young kids (2&4) and the house worked well for us. We’d stay again. 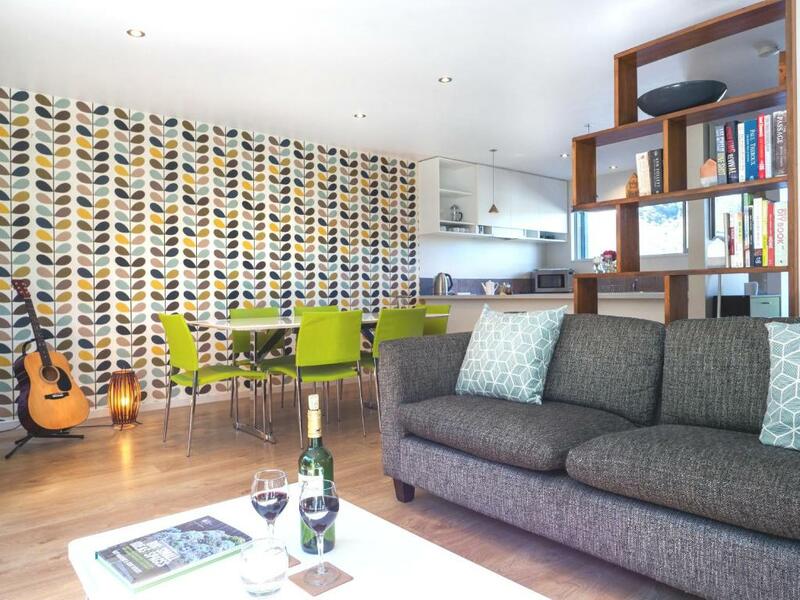 Lock in a great price for Qubehouse Holiday Homes – rated 8.5 by recent guests! 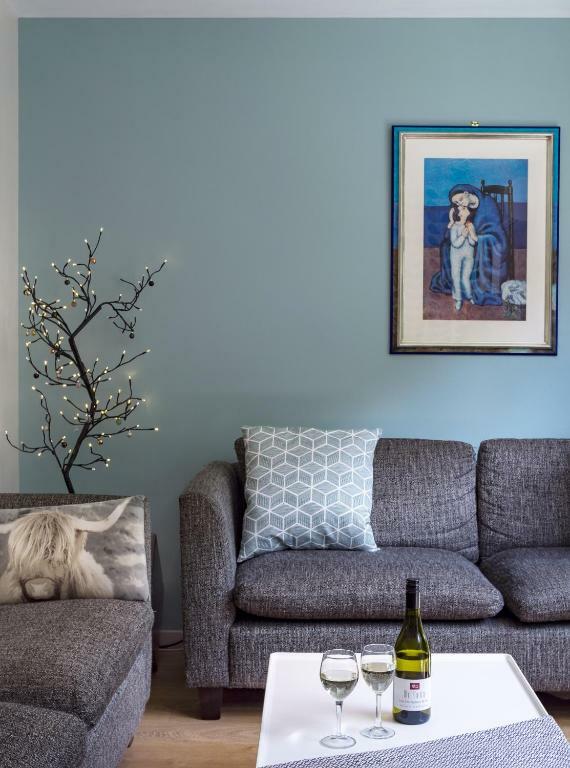 Qubehouse Holiday Homes This rating is a reflection of how the property compares to the industry standard when it comes to price, facilities and services available. It's based on a self-evaluation by the property. Use this rating to help choose your stay! 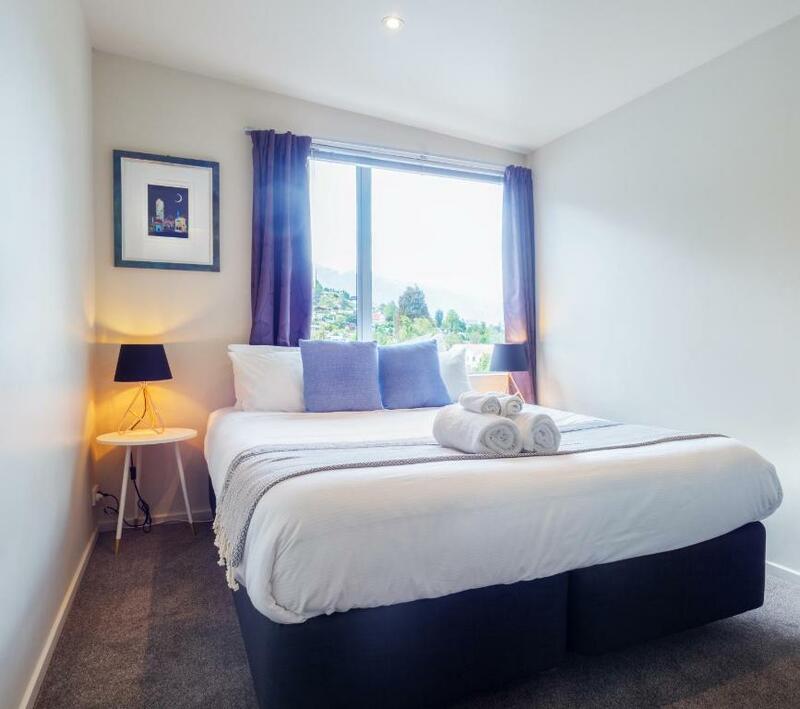 Qubehouse Holiday Homes has accommodations located in Queenstown, a 9-minute walk from Skyline Gondola and Luge and 0.6 miles from Shotover River. Free WiFi is offered. Each unit has a fully equipped kitchen with a dishwasher, a seating area, a flat-screen TV and a private bathroom with bath. An oven and electric tea pot are also featured. 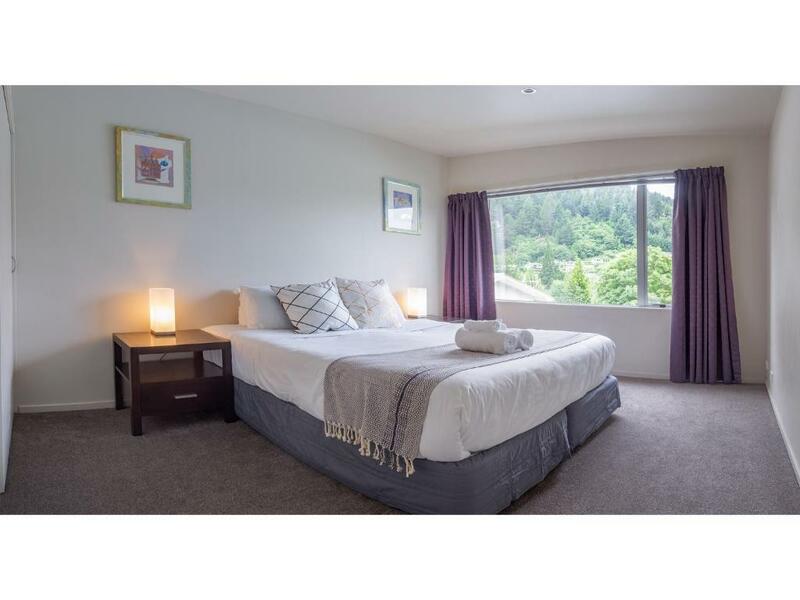 Popular points of interest near Qubehouse Holiday Homes include Queenstown Chamber Of Commerce, Queenstown Lakes District Library and Queenstown Hill. The nearest airport is Queenstown Airport, 5 miles from the accommodation. When would you like to stay at Qubehouse Holiday Homes? This apartment has a private entrance, toaster and oven. The master bedroom has views of the Remarkables. Please note that extra mattresses are available on request, for an additional charge (see Hotel Policies). These are stored in wardrobes. Alongside a career in architecture, I started Qubehouse as a weekend project. Over the last 3 years, with the help of my family, my business has steadily grown to become my full-time project. I really enjoy meeting guests from near or far, and bearing some responsibility over your well-being during your holiday. To travel is to seek new & unique experiences. I think where you stay should be no different. As mentioned earlier, I'm passionate about design & travel. I'm always researching and updating our decor & homeware. My suppliers range from major NZ design merchants like Dankse Mobler & McKenzie Willis, to Saturday market at Greenwich London when I go traveling. With support from a dedicated maintenance & housekeeping team, I hope to delight our guests by curating a truly unique holiday home experience. Queenstown is the best of both worlds. Despite being a small town of pop.15k, it has all the amenities of an urban centre: an international airport, restaurants run by Michellin starred chef, a lively club & bar scene, lakeside beach & promenade lined with shops from top local & international brands, gyms, day spas and the list goes on! What really sets this bustling town from others is the awe-inspiring landscape. It is built on the shores of Lake Wakatipu, a long thing Z-shaped lake formed by glacial processes, and has spectacular views of nearby mountains such as The Remarkables and Cecil Peak. This dynamic landscape allows for a plethora of adventure activities. My personal favourite is snowboarding at Coronet Peak. A quick 20 min drive takes you to a skifield with long and varied terrain overlooking the lake. Mountain biking has come to its own with a variety of tracks for all levels. I recommend the easy lakeside trail from town to Kelvin Peninsular by bike or by foot if you prefer. Sky diving, paragliding or bungy jumping are also options to consider. Qubehouse Mobius Apartments is located only 7 minutes walk to the heart of town. House Rules Qubehouse Holiday Homes takes special requests – add in the next step! Qubehouse Holiday Homes accepts these cards and reserves the right to temporarily hold an amount prior to arrival. Payment via bank transfer is also available. Please let the property know at time of booking, using the special request box, whether you would rather pay via bank transfer, otherwise the total price of the reservation will be charged, using your credit card, immediately after making your booking. Please note that payment via bank transfer is only available for guests within Australia or New Zealand. Please note that bed linen and towels are not included in the price. Please inform Qubehouse Holiday Homes of your expected arrival time in advance. You can use the Special Requests box when booking, or contact the property directly using the contact details in your confirmation. did not realize that the host was in Malaysia. The bed is comfortable. The dyer is a plus! The electric stove is not easy to use. Easy access location. Beautiful mountain view. 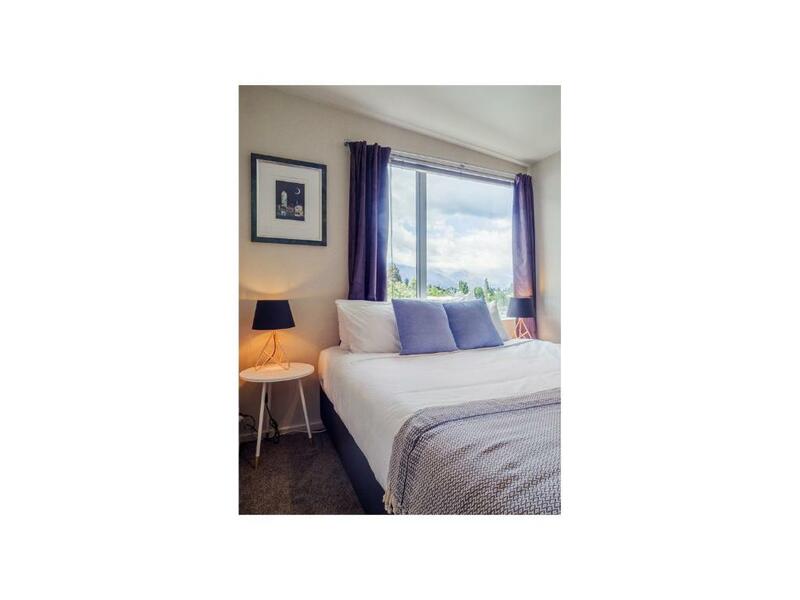 It was hard to make contact with the people when we needed an extra two nights accommodation, there was no customer service to help us and when they did the price of the apartment was very expensive and they wanted to charge another cleaning fee. Parking in the garage was un use-able for a big vehicle due to the cabinets in the garage. Not enough space to get vehicle in.